Built-in IMAP Email Integration Keep your CRM in synch with your inbox! Works just like your smart phone to keep up with your one-to-one email communication. Sales Pipeline Management System Assign scores to your webpages to give them importance. EmailGreen CRM With GreenRope, you can build your database and manage your contacts all from one easy to use web based software. CRM tools help you keep track of all interactions with each contact, including emails sent, events attended, and any notes you want to take. Create as many custom user-defined fields for each contact as you would like. 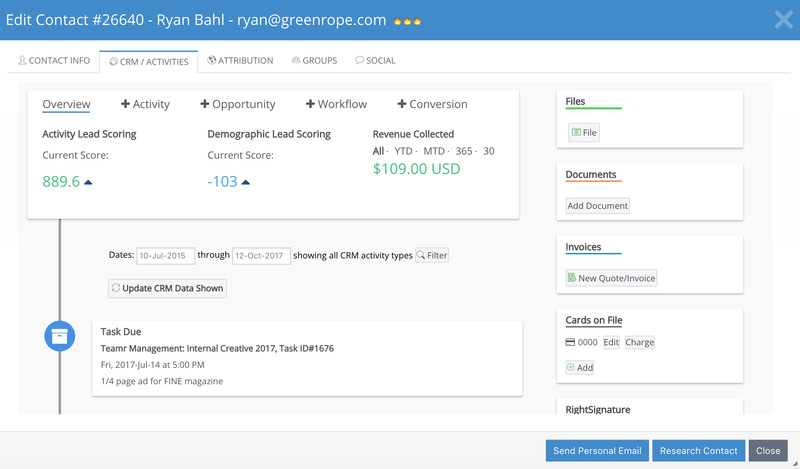 With Greenrope, you can automatically connect your inbox to your CRM with our IMAP integration.